The one advantage of having only a few entries to a blog event is that the round up doesn't take as long to write up! I guess the warm weather is responsible for all but the regulars deserting us and who could blame them, I know I haven't entered many challenges myself. 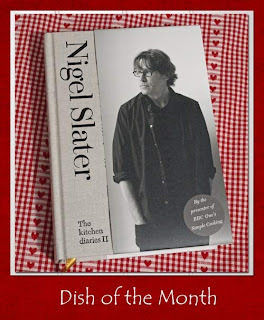 Of course, the standard of the entries we have received is, as usual, exceptionally high, a tribute to Mr Nigel Slater and his lovely recipes. Let's start with this month's 'hostess with the mostess' my friend and co-conspirator, Sue at A Little Bit of Heaven on a Plate with a delicious plate of Pistachio and Lemon Cookies This recipe is a little extra provided by Nigel in the inside of the slip cover of The Kitchen Diaries II. Rachel Kelly of Marmaduke Scarlet is making a bit of a name for herself appearing almost weekly in the Guardian Cook Magazine on a Saturday, I always look out for her contributions to Felicity Cloake's themed reader recipe pages. Rachel is also a regular here at Dish of the Month and this month brings us these glowing Baked Tomatoes with Fragrant Spices and Coconut In true Dish of the Month style, Rachel didn't stick rigidly to the recipe making a few subtle changes, they don't seem to have had any negative effect on this rather unusal recipe of tomatoes stuffed with tomatoes. I also took a few liberties, this time with Nigel's recipe for Plum (or greengage) and Almond Tart in the Kitchen Diaries II. I didn't have plums or greengages and I didn't have time to make pastry. I did have cherries, ground almonds and eggs though and the result was these Cherry Frangipane Ramekins which I served warm with some lovely vanilla ice cream. Camilla at Fab Food 4 All has gone preserving mad, especially after winning her local show with her Peach and Apricot Jam. Congratulations Camilla! 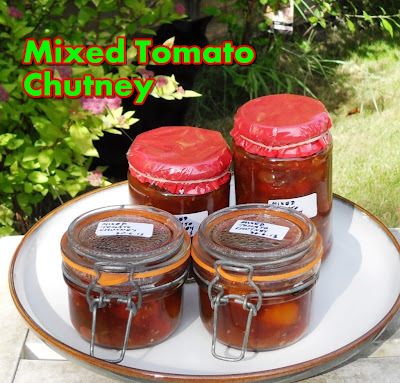 This Mixed Tomato Chutney was inpsired by some lovely multi-coloured cherry tomatoes and based on Nigel's recipe for Mixed Tomato Chutney. 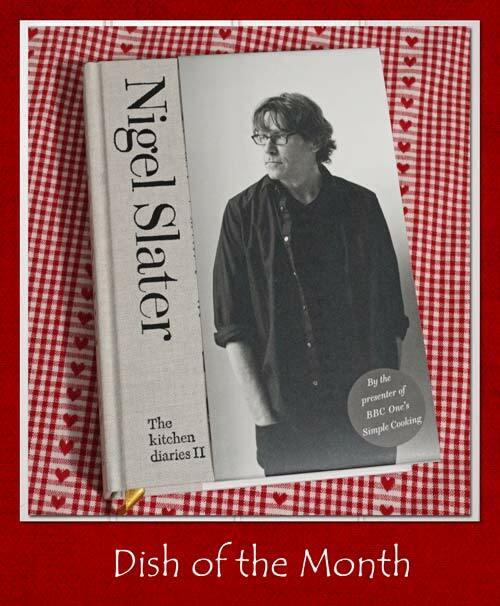 Many thanks for entering July Dish of the Month and we hope to see you again in August when I will be hosting. The link and details of a GIVEAWAY will be posted on 1st August. See all the dishes on our Pinterest Board or have a look at the round ups on the Dish of the Month page here at Farmersgirl Kitchen. Regular readers will know that I am a sucker for a good picture, I really like my cookbooks to show me what I'm aiming for and believe a picture (of food) is worth a thousand words. 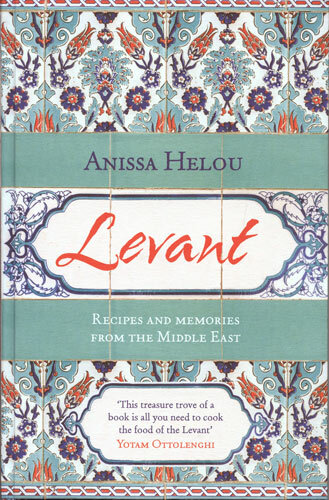 So I surprised myself with how much I liked Levant - Recipes and Memories from the Middle East by Anissa Helou. The book is packed full of recipes, but also tells a personal story of life and food from the Middle East and North Africa. 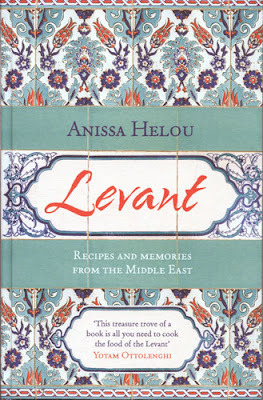 The book reads like a journal a very personal account and the only photographs are a few of Anissa and her family, the success of this book is the strength of the story- telling which paints a picture of the delights of the Levant, far more vivid than any photograph. Anissa Helou is a food writer, journalist, broadcaster and blogger. Born and raised in Beirut, Lebanon and Syria, she knows the Mediterranean as only a well-travelled native can. She is the author of numerous award-winning cookbooks including Offal:The Fifth Quarter; Modern Mezze; Savoury Baking from the Mediterranean; Mediterranean Street Food; Street Cafe Morocco and Lebanese Cuisine, which was a finalist for the prestigious Andrew Simon awards and chosen as one of the Los Angeles Times' favourite books. Anissa has just launched Koshari Street an Egyptian inspired street food experience, in London and plans to launch others very soon. Anissa starts this chapter with a detailed description of family meals, bringing in characters such as her grandmother and aunt, and giving us many insights into her own character. 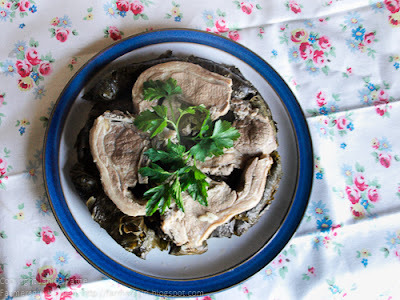 Recipes include: Mini Dumplings and Meatballs Soup, Tabbuleh (learn how to make it properly), Pumpkin Dip, Stuffed Courgettes and Aubergines, Stuffed Vine Leaves on a Bed of Lamb Chops (recipe below). In this chapter Anissa takes us back to her father's ancestral home in the Syrian mountains. The recipes include several different pickling, preserving and curing recipes. It seems there were many different souks in Beirut when Anissa was a child, but this chapter is all about the street food sold there. Recipes include Omelette Sandwiches, Camel Kebabs, Sesame Galettes and Iranian Saffron Ice Cream. This chapter starts with a couple of versions of Fattush, one of my favourite salads, I made Las Salinas Fattush or Bread Salad. 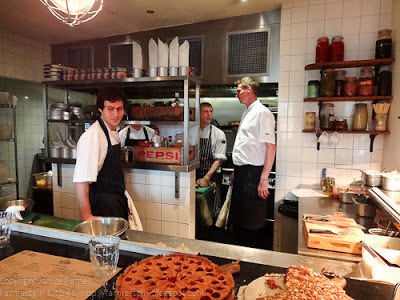 There are a number of fish and seafood dishes and a Lebanese Steak Tartare made with lamb. As you would expect there are various versions of Hommus (Hummus) and labneh, strained yogurt, dips. There are a wide range of recipes, both meat and vegetable based: Turkish Kebabs sit alongside Stuffed Aubergine Fatteh. Anissa's memories are of home bakers preparing their own fillings or toppings to take to the bakery to be combined with the baker's own dough and baked in the Bakery oven. This chapter contains recipes for everything from Pide, a soft oval bread that Turks eat most frequently, to Borek the most ancient type of Mediterranean savoury pastries made with filo pastry. 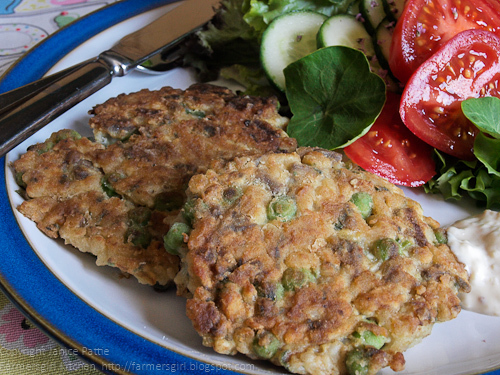 The sweet recipes of the Levant are something really different including Ma'carun (Aniseed Fritters) and deep fried Kellage, a favourite for Ramadan feasts. As Pistachio nuts are a favourite of mine, I have bookmarked the Balluriyeh or Sweet Pistachio Pie and also like the look of the Sesame Cookies and Fragrant Shortbread Biscuits, neither of these recipes require any unusual ingredients and look simple to follow. The chapter closes with a recipe for Mango Ice Cream, a fittingly exotic dessert which is also simple to make. An excellent glossary with full details of the particular ingredients of Levantine cookery. Some ingredients get up to half a page of description, others a short paragraph. Put the lamb chops in a saucepan, cover with water and place over a medium heat. As the water is about to boil, skim away any scum that rises to the surface, then add a little salt, and the cinnamon. Cover the pan with a lid, reduce the heat and let the stock bubble gently for 15 minutes. 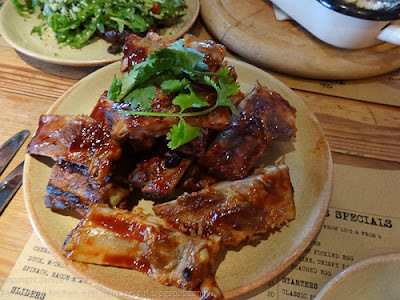 Lift the chops out onto a plate, strain and reserve the stock for later. Meanwhile, make the stuffing. Place the rice in a mixing bowl, add the minced meat and water and season with the spices and a little salt. Mix with your hands to blend well. Pinch off a little mixture and sear in a hot pan to taste, then adjust the seasoning if necessary. Choose a pan with straight sides and large enough to arrange the lamb chops in a tight even layer on the bottom. Put the vine leaves (fresh or preserved) in a colander and run boiling water over are using preserved leaves, rinse these beforehand in cold water, at least a couple of times, in order to get rid of some of the briny taste. Place the rolled leaf, loose edge down, over the lamb chops, on one side of the pan. 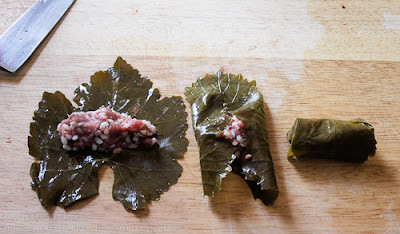 Continue filling, rolling and arranging the vine leaves, side by side, lining the sides of the pan first and making one layer at a time, until you used all the leaves. If you have any leftover stuffing. put in a small pan, add an equivalent amount of water and cook for 20 minutes to serve on the side. Pour some, or all, of the reserved stock over the rolled leaves until they are barely immersed. If you do not have enough stock, add water. Add a little salt, bearing in mind the saltiness of the vine leaves, and shake the pan to swirl the water and dissolve the salt. 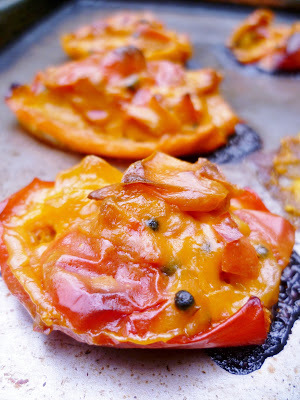 Put an overturned heatproof plate over the leaves, to stop them from unrolling during cooking, cover the pan with lid and place over a medium-high heat. Bring to the boil, then reduce the heat to medium and let the pot bubble gently for 50 minutes. Add the lemon juice and cook for another 10 minutes. It is a good idea to test one vine leaf, before you take them off the heat, to make sure the rice is properly cooked. Remove form the heat and leave to sit, covered, on a work surface for about 10 minutes. The traditional way of serving this dish is to turn out the contents of the pan onto a serving platter as if it were a cake, and this why you need a pan with straight sides. You'll also need to wear heatproof gloves while performing this operation. First pour to the cooking juices into a bowl while holding back the stuffed vine leaves using the plate covering them. Remove the plate and place a big round, flat serving platter over the top of the pan. Hold it firmly against the pan with the flat of one hand. Slide the pan slowly over the edge of the work surface and put your other hand underneath it. 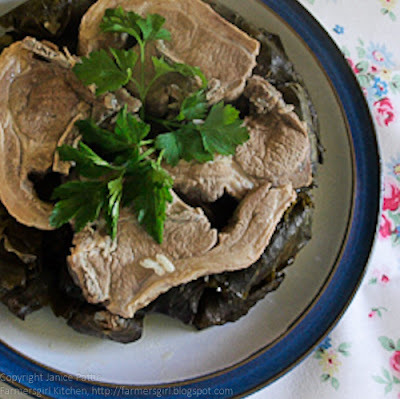 Lift the pan off and quickly turn it upside down, then slide the platter onto your worktop and slowly lift the pan off to uncover a 'cake' of cooked stuffed vine leaves topped with the juicy lamb chops. Alternatively, you can spoon the rolled leaves out, a few at a time, and arrange them in neat layers in a serving dish, putting the lamb chops on top or all around them. Baste with some of the cooking juice and serve immediately with a bowl of yoghurt. The recipes are mostly fairly easy to make, there are some unusual ingredients however, my feeling is that this is a book for a more confident cook, willing to take a few risks. It's also a book for people who like to 'read' cookbooks, not just cook from them, as each chapter has several pages of autobiographical introduction and every recipe is also introduced with interesting information and stories. The book is packed with 150 recipes and enough stories to keep you entertained as well as well fed. Instructions are detailed, as you will have gathered from the recipe above, are despite the complexity of the recipe I chose, remarkably easy to follow. The Glossary is excellent and there is also a Bibliography, useful if you want to further your middle eastern cookery skills. The chapter headings are not terribly helpful for finding particular types of recipe, you really have to use the index, but the structure has a charm of it's own which I enjoyed. I'm sure you have probably gathered that I enjoyed reading this book and cooking from it too. If you would like to know how to cook authentic Middle Eastern food, then this book should certainly have a place on your book shelf. I was provided with a copy of Levant by Harper Collins to review, I was not paid for his review and all opinions are my own. 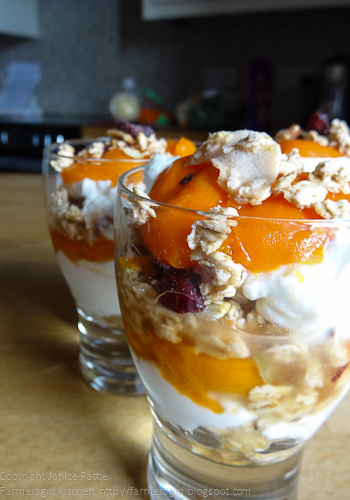 I was rather disappointed in a punnet of apricots that I bought, they were rather hard and tasteless, so I poached them in a little water and sugar, creating a luscious pan of soft sweet fruit. There are two different kinds of Nature's Path Nice and Nobbly Gluten Free Granola, the Pumpkin Seeds, almonds, raisins and cinnamon type and another with Blueberries, Raspberries Strawberries and Yogurt Chunks. 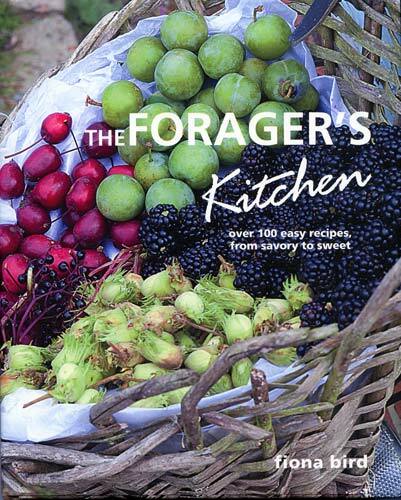 You may remember that I reviewed The Foragers Kitchen by Fiona Bird, back in May. I was enthusiastic about the book at the time and was eagerly anticipating the different seasons. One of the foraged ingredients that really intrigued me was Honeysuckle. I had not idea you could do anything with Honeysuckle although I've always love the smell of it and it grows in abundance in the hedges up the lanes to our farm. This year with the warm weather, it has been particularly prolific. 2. Strain the blossom liquid well, and squeeze the blossom to ensue that you have as much liquid as possible. 3. Put the blossom water into a saucepan, and add the sugar. 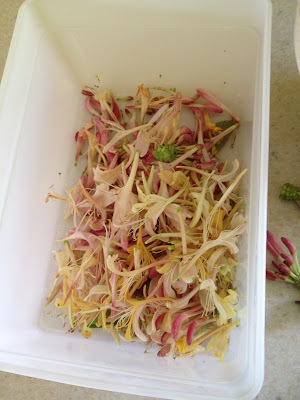 I've been asked what Honeysuckle syrup tastes like, it tastes a little like honey and a bit like the flowers smell, it's a lovely sweet floral flavour. 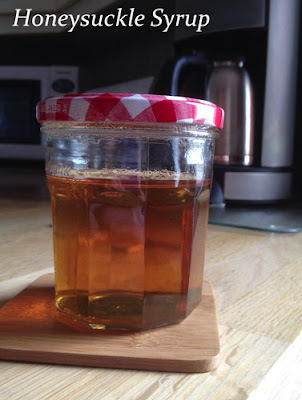 I did wonder if it was just the sugar, but I also made some Elderflower syrup (more of that in a future post) and it tastes completely different. 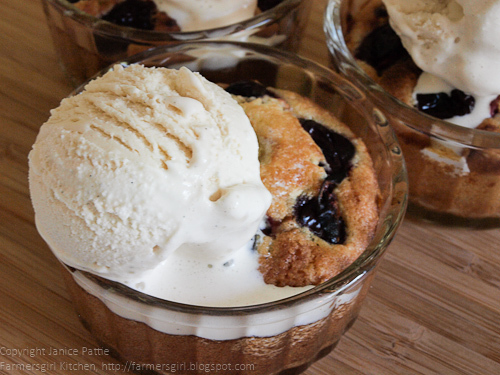 Fiona suggests that you drizzle this syrup over ice cream. If you keep one or two small plastic bottles of the in the freezer you can glaze your Christmas ham in wild summer blossom. Thanks to Fiona Bird and Mark at Cico Books for allowing me to publish this recipe. 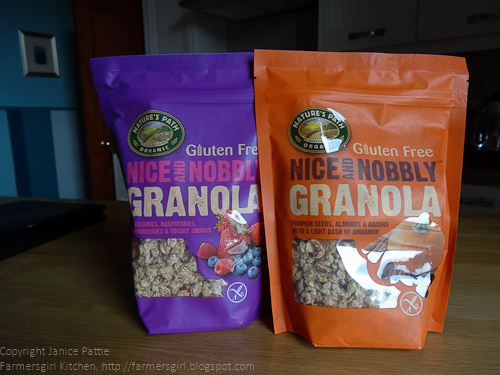 I received the Nature's Path Gluten Free Granola for review, I was not paid for this post and all opinions are my own. I have to remind myself to include some of my recipes in blog challenges like Credit Crunch Munch. Using up left overs and creating new dishes from those bits left in the fridge is second nature to me and I find it pushes my creativity to create something from almost nothing. This wasn't really 'nothing', I had bought a large roast to have at the weekend when I had visitors. I had marinated it and slow cooked it in a roasting bag, everyone enjoyed the tender slices of beef. However, it really was a big joint of beef, so even after another dinner of roast beef slices with gravy and slices with salad, there was still some left. 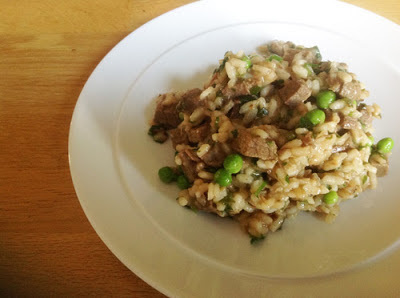 I decided to dice the cooked beef and cook it in a risotto. 1. Melt the butter in a heavy-based saucepan, add the onions and cook over a low heat for a bout 10 minutes until soft but not coloured. Add a little water to the pan if the onions stick. 2. Stir in the garlic and cook for 1-2 minutes. 3. Add the rice and cook until it turns opaque. Add a quarter of the stock and stir until all the liquid has been absorbed. 4. Continue to add the stock, stirring constantly until the rice is soft but still has a little bite. 5. 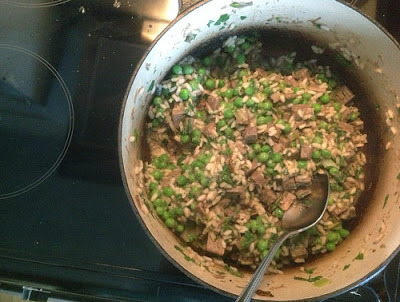 Add the cubed beef and frozen peas, stir, turn the heat off and leave with the lid on the pan for 5-10 minutes until it is heated through. 6. If you have some flat leaved parsley you can add this before serving, I didn't have any when I made this and it was fine without. So now I have a large pan of risotto, too much for three of us to eat and more left overs. 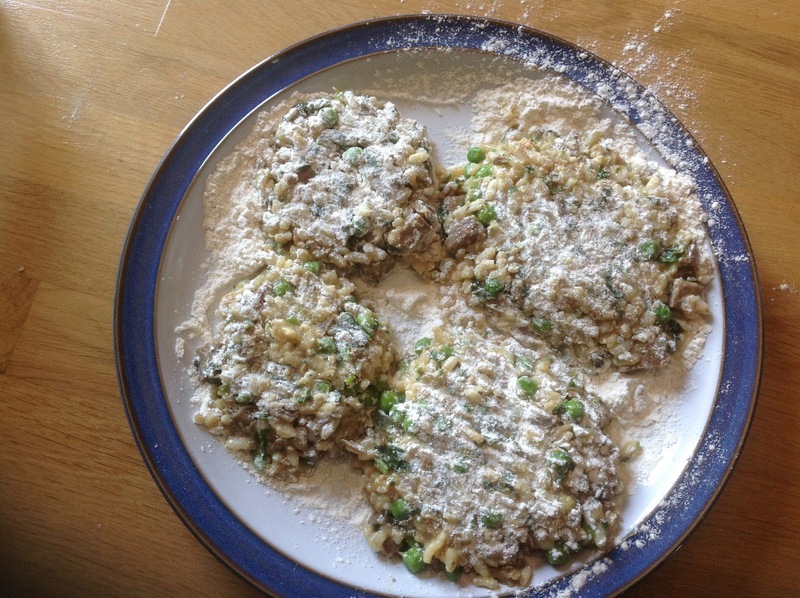 So I thought I'd have a go at making risotto cakes. The technique was very simple, add an egg to the left over risotto mixture. Flour a large plate, form patties of risotto and egg mixture on the plate, dust with more flour. 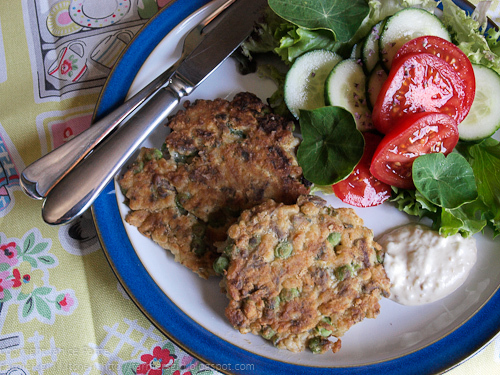 Heat a couple of tbsp of oil in a frying pan and, using a fish slice, gently transfer the risotto cakes to the pan. Fry until brown and crisp, turn and cook to the same colour on the other side. 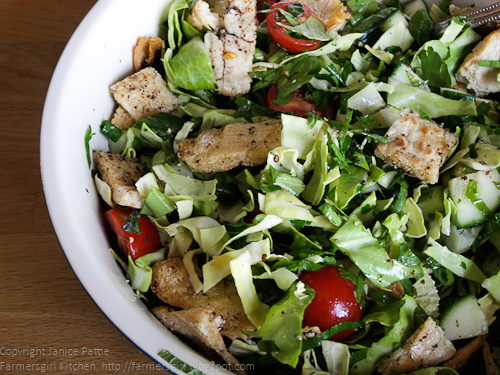 Serve with creamed horseradish and salad. We loved the risotto cakes with their crispy crunchy outside and soft tasty inside, and I would definitely make them again. What do you want to eat when the temperatures rise? Why ice cream of course! When I was at the Highland Show, the lovely Claire from Mackays, gave me some samples to bake with as part of "Baking with Mackays". I don't know about you, but I'm not all that keen on standing by a hot oven when the sun is shining outside, so I looked for another way to use the delicious preserves, made in Scotland, in a creative way. 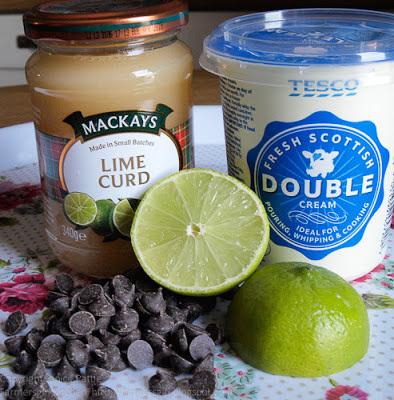 I love Lemon Curd but have never tried Lime Curd, Mackays Lime curd includes eggs, butter, limes and sugar and is delicious spread on hot buttered toast. 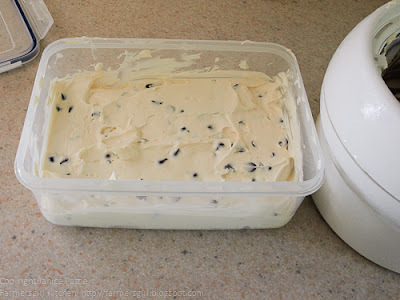 Eggs, butter and sugar are the ingredients needed to make a custard and in many ways a curd is a custard, by adding cream it's a short cut to making ice cream. 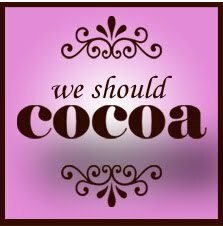 I was conscious that the theme for We should Cocoa this month was ice cream, so thought about how I could include chocolate. 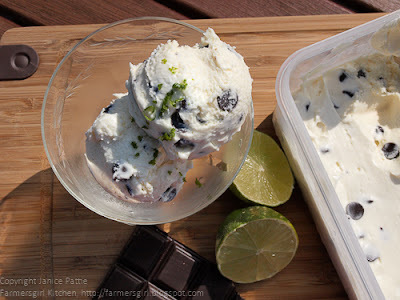 I have a bit of a soft spot for those, old fashioned sweets, Chocolate Limes, it's such a great combination of flavours that I thought it was worth trying in ice cream too. 1. Whip the cream until it is floppy, add the lime curd, zest and juice. At this point I put the mixture into my ice cream maker, it churned away, but 20 minutes later when it should had been turning solid, it was just slightly more chilled. I picked up the bowl of the ice cream maker and realised that it was leaking bluey green stuff from the bottom. Fortunately none of this came near the ice cream, so I scooped it up and put it into a box, mixed in the chocolate chips and put it into the freezer for at least four hours or, preferably, overnight. Because of the high sugar content in the curd, the ice cream doesn't go rock hard, nor does it form ice crystals so you really don't need an ice cream machine to make it. I used this excellent Trigger Ice Cream Scoop from Oxo Good Grips to serve up my ice cream. 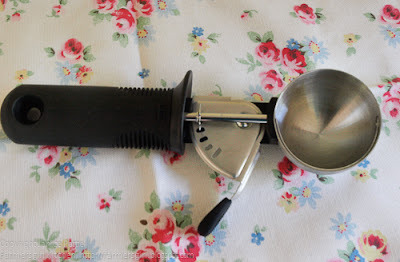 I have three ice cream scoops, none of which have ever been terribly satisfactory, but this one scoops like a dream and the trigger action deposits the ice cream into your dish in a neat ball, it also goes in the dish washer which is a real bonus. 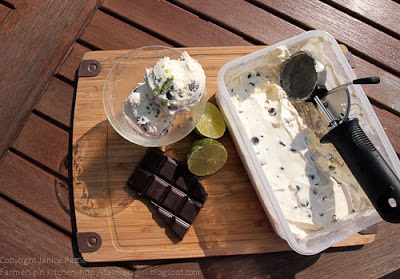 The Chocolate Lime Curd ice cream was very creamy but the sharp lime flavour cut through the richness and the little nuggets of dark chocolate really did make it taste like those Chocolate Lime sweets from my childhood. 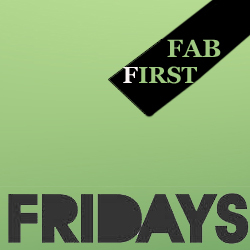 I'm adding this post to the Fab First Fridays linky at London Unattached, a blog event to share your favourite post of the month. Many thanks to Claire for the Mackays Lime Curd and to Cherelle and Oxo Good Grips for providing the Trigger Ice Cream Scoop for review. I was not paid for this review and my opinions are my own. Sometimes only a sweet treat will do and if I don't have any goodies in the house, I often make muffins using a simple recipe and varying the flavourings depending on my mood or, more likely, what I have to hand. I had some visitors coming so mixed up this batch of muffins using Duerr's Blackcurrant Jam. 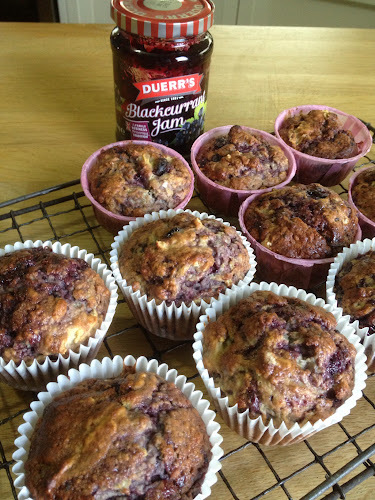 Dueerr's jam isn't just for spreading on your bread, it's great for baking too. Check out the recipes on the Duerr's website to see lots of other treats you can make. 1. Heat the oven to 200C. Line your muffin tin with paper cases. 2. 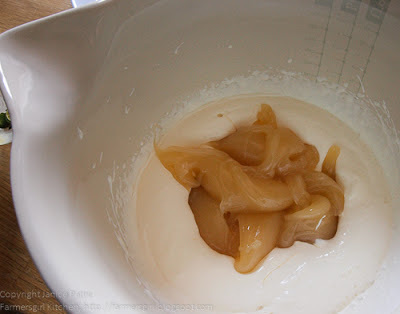 In a large bowl, beat milk, oil and egg with a whisk until well mixed. Stir in flour, sugar baking powder and salt all at once just until the flour is moistened, the batter will be lumpy. Fold in the blackcurrant jam. Divide evenly between the paper cases. 3. Bake 20 - 25 minutes or until golden brown. The muffins were delicious with ripples of jam running through the muffins and even better...there is only one bowl to wash up! Thanks to Erin for providing me with some Duerr's jam to bake with, I was not paid for this post and all opinions are my own. Nigel Slater might not recognise this recipe as one of his, but it is an adaptation of the Plum (or greengage) and almond tart from the July chapter of The Kitchen Diaries II. I was planning to have some homemade icecream for dessert (more of that in a later post) but my ice cream machine bowl appears to have a leak and is not working properly, so it needed longer to freeze. I had about half an hour before I needed a dessert, so had a quick look through The Kitchen Diaires for inspiration and found this recipe. 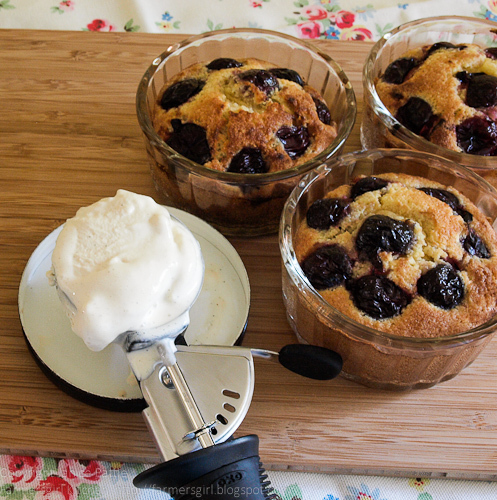 I didn't have time to make pastry and had no plums or greengages, but I thought I could bake the frangipane in a ramekin and had a punnet of lovely ripe cherries that would do in place of the plums. Frangipane is a mixture of butter, sugar, eggs, ground almonds and a little flour. I've posted other recipes that include frangipane before such as Rhubarb Bakewell Tart, Pear and Blackberry Frangipane Tart and most recently the Belleau Kitchen Rhubarb Frangipane Tart. I can certainly recommend this recipe, it was quick, easy and very satisfying, especially served warm with a big scoop of Madagascar Vanilla Icecream. As well as being my Dish of the Month, I am also entering this for Tea Time Treats as this month's theme is Fresh Fruit. Tea Time Treats is a monthly blogging event that showcases treats from our favourite meal of the day: teatime! Hosted alternate months by Karen from Lavender and Lovage and Kate from What Kate Baked. Karen is hosting this month and you can read all about in her blog post Fresh Fruit Treats. Frangipane also begins with F so fits with the Alphabakes Challenge run by Ros at The more than occasional baker and Caroline at Caroline Makes. This month Sue at A little bit of Heaven on a Plate is hosting Dish of the Month. What will you cook today? Kitchen Nomad is a new subscription service that delivers speciality products and recipes from around the world to your door. Their vision is to offer customers a convenient opportunity to discover world cuisine and cook new recipes in their own kitchen. All this made possible through their website www.kitchennomad.co.uk. Each month, Kitchen Nomad will select a different country of the world, carefully source authentic products and typical recipes of that country, pack it all up in a beautiful box and deliver it right to your door. So expect brilliant surprises ahead, perfect to discover new tastes in your kitchen. The first Kitchen Nomad box, launched in June, is based on Greece. The box itself is very well presented, and creates genuine excitement when it is received as there is no way of knowing what is inside, or which country it is themed on, until you actually open it. Inside there are 9 authentic Greek products, such as Cassia Bark (a cinnamon spice), Orzo (a type of pasta) and vine leaves. The retail value of the products is at least the cost of the box, so it is value for money as well as an experience of discovery and taste. 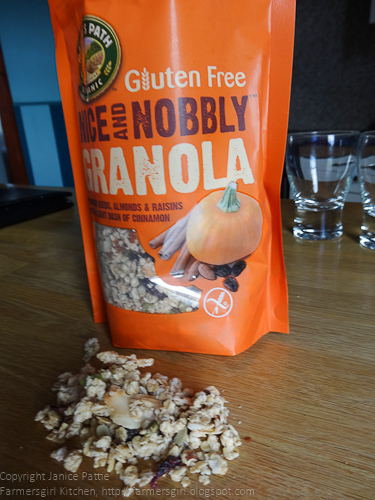 All the products are sourced from small, speciality suppliers and would be difficult to find in your average supermarket. Not only does this mean that you will get to try something new that you wouldn’t normally be able to buy, but it is good for small businesses too. 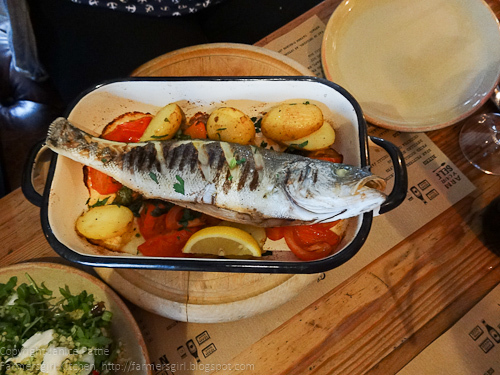 There are also five authentic Greek recipes covering starters, mains and desserts that make use of the speciality products, such as Dolmades (stuffed vine leaves), Youvetsi (a Mediterranean stew) and a fig & walnut bake. The box does not contain any fresh or perishable products such as meat or fresh vegetables, so you will need to supply these yourself. The upside of this is that you can choose when to cook the meals, rather than having to cook them within a day or two of receiving your box. For the June box, Kitchen Nomad have partnered with Tonia Buxton – a famous cook of Greek origin and host of the Discovery Channel’s ‘My Greek Kitchen’ cookery programme – and The Real Greek restaurant group, home of authentic Greek and Eastern Mediterranean food and generous hospitality, with six restaurants in London - so you can be sure that the recipes are truly authentic and will help you make delicious meals. When asked about her involvement, Tonia Buxton said “I was approached by Kitchen Nomad to see if I wanted to work with them, and I really liked the concept so I met with one of their founders to find out more. I share their vision for helping people discover world cuisine so I happily agreed to give them some recipes from my book”. If you like Tonia's recipe, then she also has a book "Tonia's Greek Kitchen" more details on her website. 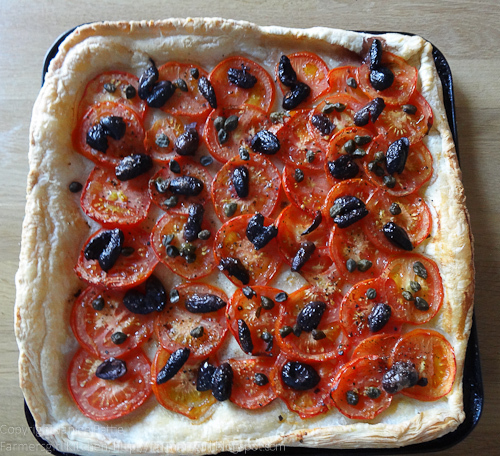 or Tart with olives and capers as a quick and easy supper dish which can be put together and baked after work. 1. Pre-heat the oven to 180C/Gas 4. 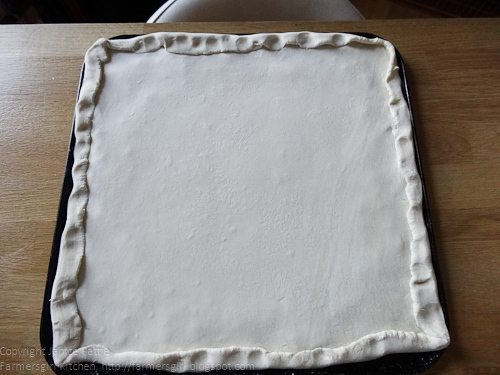 Place the dough on a lightly oiled baking sheet and crimp along the edges to form a shallow rim. 2. 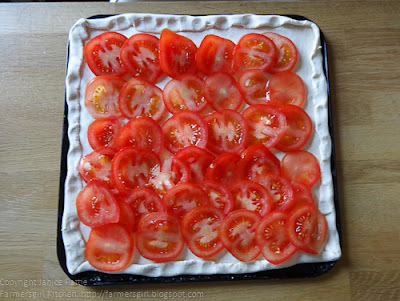 Thinly slice the tomatoes then overlapthe slices alongthe length of the dough to make 3 rows (look at the picture). Sprinkle the sugar evenly over the tomatoes follwedby a little drizzle of olive oil. 3. 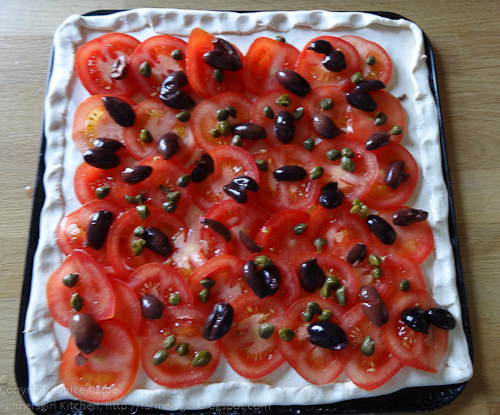 Scatter on the olives which you cn either leave whole or roughtly chopped (as you prefer), and finally the capers. Season to taste. 4. Bake for around 20-30 mintues or until the pastry edges are nicely browned, forming crisp handles. 5. Hold back from eating it straight away and leave to cool for a few minutes - the tomatoes will be blisteringly hot.. then garnish with torn fresh herbs before cutting in to slices. I could probably have left the tart in for a little longer, but we were hungry! It was really simple to make and tasted delicious. There was enough left to take to work for lunch, so I can also recommend eating it cold as it was lovely and moist and tasty. 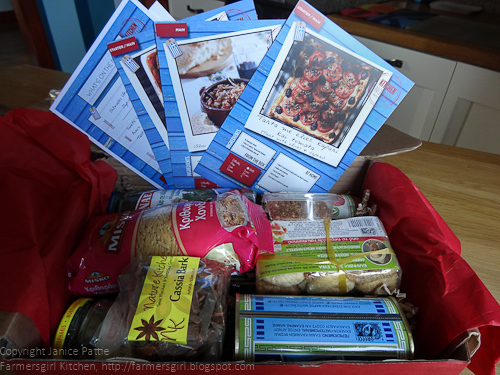 Through their website (www.kitchennomad.co.uk), customers can subscribe to receive a new box every month. There is also an option to buy a one-off box (or more!) as a gift – perfect for that hard-to-please food lover. Each box will contain 7-9 speciality products, five authentic recipes, and some interesting information about the culinary habits and customs of the country in focus. Watch out for their future boxes, what will you cook next? I was provided with the Kitchen Nomad Greek box to review, I was not paid for this review and all opinions are my own. This is Part II of our #smuts Food Blogger meet in Cheltenham but before I go any further, I have to say a huge thank you to Fiona of London Unattached for the sterling work she did in finding our two eateries. 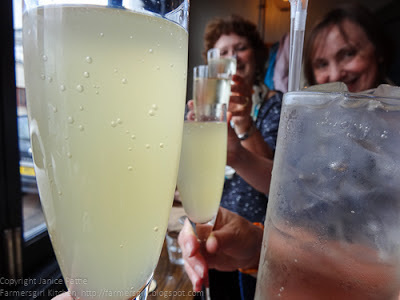 You can read about how well we were treated at the Well Walk Tea Room in part I. For part II we were booked for dinner at The Tavern, Cheltenham and were delighted to be treated to complimentary cocktails as Fiona had forewarned them that we would be taking photographs and writing about our experience. Of course, I stuck to sparkling water (liar, liar pants on fire!) 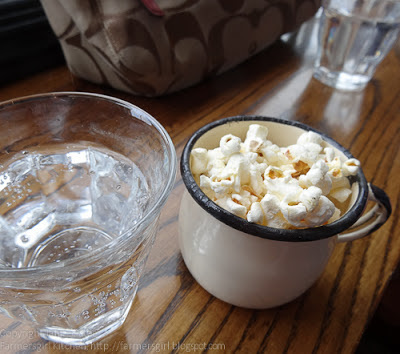 and loved the little tin mugs of popcorn that we enjoyed with our drinks. My drink of choice was actually a Mojito Royal and very nice it was too. 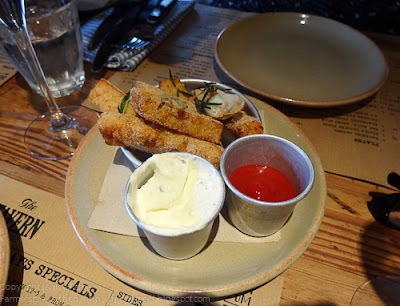 Moving on from the cocktails to the dinner, you can see the full menu on The Tavern website, we chose some nibbles to eat while we decided on what to choose from the menu. 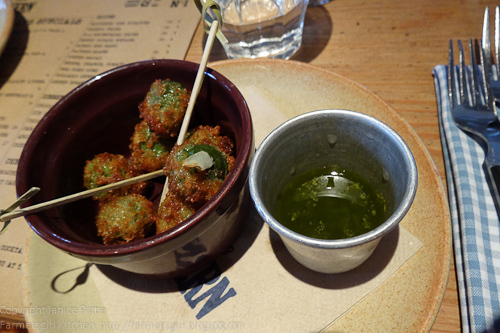 We had Fried Nocellara Olives, which I really didn't enjoy, it seemed a waste of a good olive to cover it in breadcrumbs and fry it! What we all enjoyed were the Chickpea Chips and Chilli Jam. These Chickpea chips are made using gram flour cooked and set like polenta then cut into chips, rolled in semolina and fried. They were delicious. Sea Bass was a popular choice and was a delicious dish with all the juices from the fish soaking into the vegetables below. 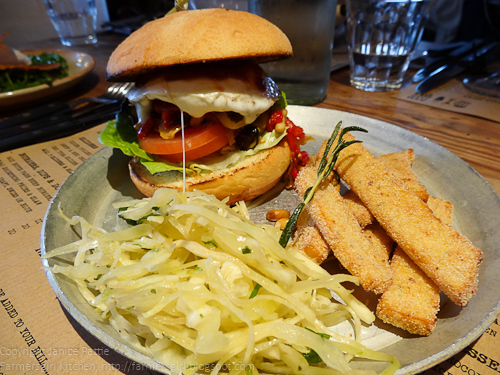 Choclette chose this amazing looking vegetable burger, loaded with lots of vegetable goodies with more of those amazing chickpea chips. I couldn't resist the ribs which were one of the specials for the day, they were tasty but not quite as tender as they were billed to be. 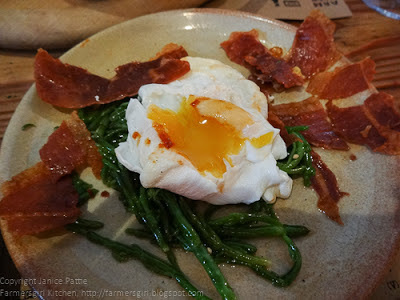 We shared a plate of samphire and pancetta with a poached egg. 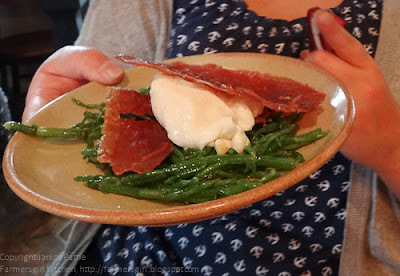 What a delightful dish, it was a great combination and my first taste of samphire. 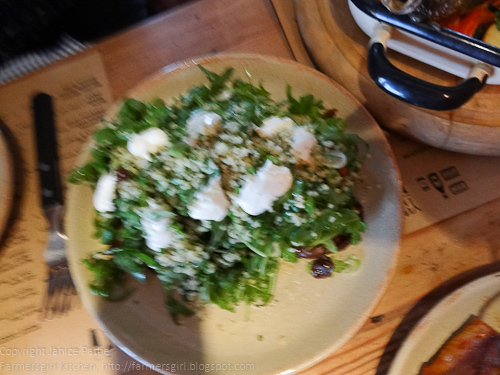 We also had some Chermoula, Aubergine, bulgar and rocket salad, It was probably my least favourite dish, but Ros's favourite! 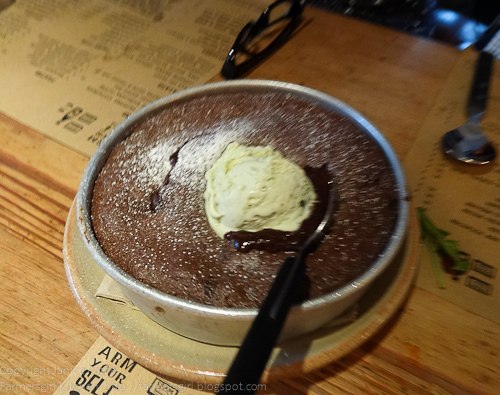 By this time we were stuffed but couldn't resist a pudding, we chose this chocolate fondant with pistaschio icecream to share between us, it was heavenly! Many thanks to the chefs and waiting staff at The Tavern, Cheltenham for their cheerful attention and excellent service and delicious food. 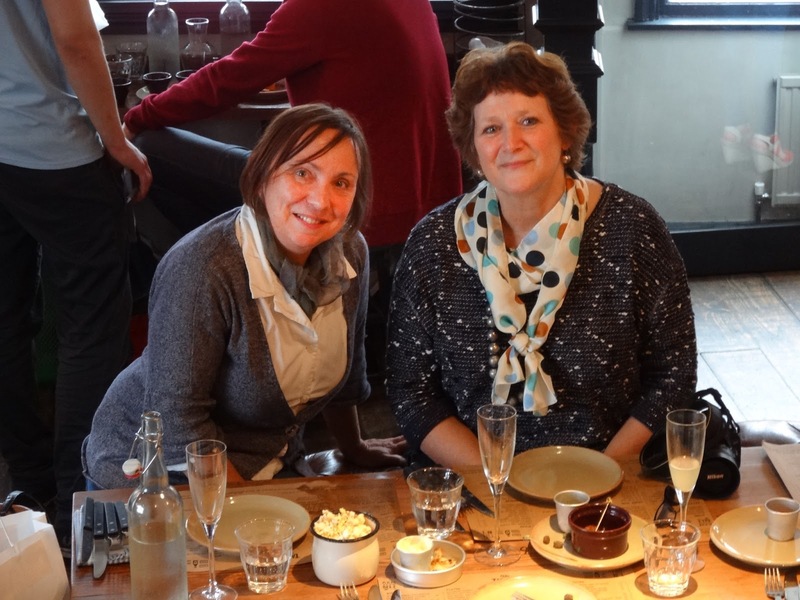 And thanks to my fellow diners, Fiona, Karen, Ros and Choclette for their great company.